A complete kit for applying self curing rubber Tyre Dough compound to cosmetic rubber repairs. The kit contains a special screw syringe, 3 x cartridges of tyre dough, a small hand rasp and a tin of vulcanising cement all packaged in a sturdy plastic tool case. 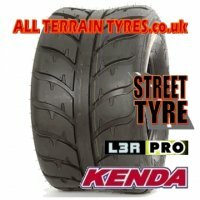 An ideal solution to repairing cuts, cracks and other rubber only damage in all types of tyres. Extend the life of your tyres by preventing water and other damaging contaminants getting into the tyre structure. Intructions for use are on the label of every tyre dough cartridge.